When Kim Kardashian-West recently became the face of prison reform activism, many of us watched the news and social feeds with a “Chile, bye,” and a sigh of disbelief. Those who have been in the trenches fighting for years to right the wrongs against incarcerated people of color, scoffed at the headlines with some amused and others utterly disgusted and appalled. Let’s just face it, few people think of Kim Kardashian as a top-of-mind beacon of change for black women behind bars. 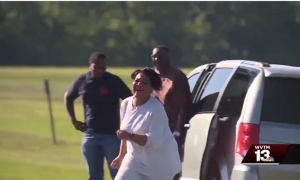 Yet, when the reality star’s visit to the White House and subsequent nail-in-the-coffin request to President Trump—a pariah among people of color both domestic and abroad—led to the release of Alice Marie Johnson, you couldn’t help but salute. The second-eldest Kardashian sister used her influence beyond hawking makeup, celebrity, and extravagance to change the life of a grandmother who, after being convicted on a non-violent drug charge and serving 21 years, would have died in prison, away from the family and friends she had to leave behind. According to reports, Kardashian was moved to get involved after seeing a Mic video on social media that detailed Johnson’s story, but there’s an even deeper story behind that—one that includes a tribe of women and men who have been working on Johnson’s behalf long before Kardashian got her White House photo-op. A major catalyst in this tribe is Topeka K. Sam, a formerly incarcerated activist. She worked with producers of the infamous video that led to it all, having built a personal relationship with Johnson that spans more than a year. “That same morning [of the clemency granting], Ms. Alice and I were on the phone. We had no idea she would receive clemency that day. None. It was shortly after she and I got off the phone that she received that call from Kim Kardashian saying she’d be going home,” Sam recalled during this exclusive interview with xoNecole. When speaking with Sam about the experience and her role in it, I was privy to a wonderfully passionate, faith-filled woman of power whose candor and straightforward yet eloquent manner is intoxicatingly inspiring. 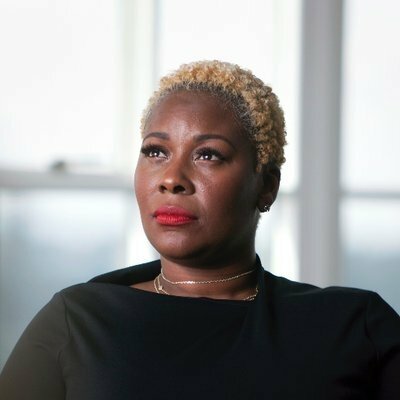 Her drive to empower and assist women who seek to rebound and thrive post-prison is undeniable, and Johnson’s case has thrust her into the spotlight. “I met Ms. Alice through Amy Povah, [founder of] CAN-DO [Foundation.] Amy received clemency from President Clinton [almost] 20 years ago as a first-time nonviolent drug offender…She highlighted 25 women and 25 men who she’s vetted and worked with who are deserving of federal clemency. Ms. Alice was the number 1 person on her list,” Sam said. No one’s a stranger to the shenanigans of the Trump administration, and for anybody who supports equality, freedom and basic human rights and respect, he is often seen as the antithesis of them all. Thus, holding confidence in him doing anything that benefits folk outside the golden 1%, for some, would be like waiting to meet Santa Clause. Sam’s faith and self-reflection is what led to her own redemption and renewal. 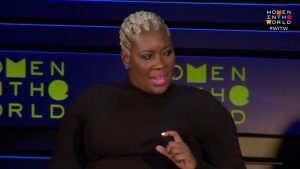 She was convicted on drug conspiracy charges in 2013, and has since used her experience to build prison reform awareness and a safe community of sisters who have overcome the challenges of transitioning into life after prison. Sam grew up in a two-parent household of entrepreneurs and was a college-educated professional and businesswoman when she was arrested. 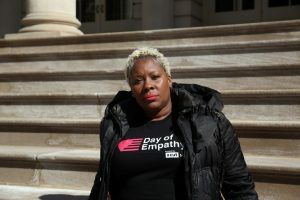 Upon her release, she got busy launching The Ladies of Hope Ministries (LOHM), and partnered with friend Vanee Sykes to found Hope House NYC, a safe space and resource for women and girls formerly incarcerated. 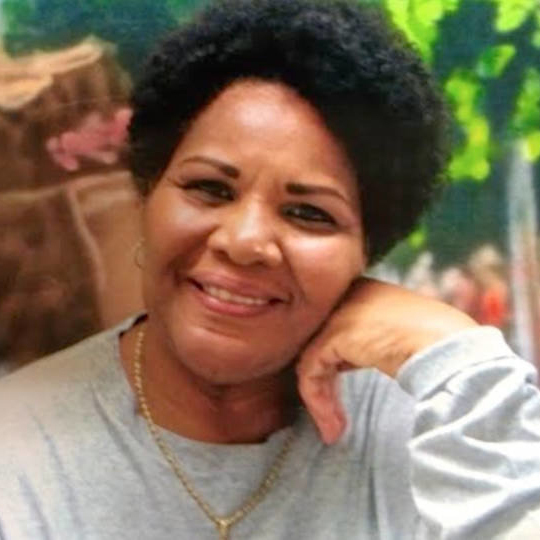 And the adage that behind every successful woman is a tribe of women who have her back is not lost on Sam, as she pointedly noted that she got her early support from veterans advocating for women in and released from prison, including Susan Burton, founder of A New Way of Life. Hope House NYC’s first facility in the Bronx is now full, and Sam has expanded her reach by serving as Director of Dignity for #Cut50, a national initiative led by Van Jones. She’s also served as a Justice-In-Education Scholar at Columbia University, a Soros Justice Advocacy Fellow working on Probation and Parole Accountability, and host of “Last Mile Second Chances” on SiriusXM Urban View. Here is where you can find me on social media.